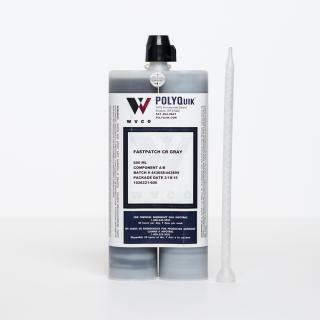 FASTPATCH CR (Crack Repair) is a rapid setting two-part polyurethane designed for concrete repair. It is designed for damaged concrete surfaces where cracks, spalls and edge breaks must be filled in to extend the life of the concrete. 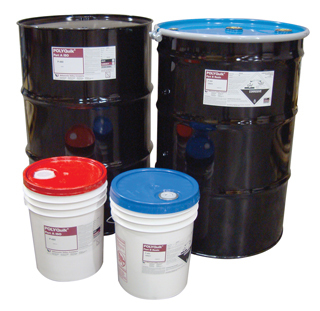 Its combination of fast set, high strength and low viscosity make it ideal for areas which must be brought to level. It may be left uncoated after cure, or standard concrete coatings may be applied over it. 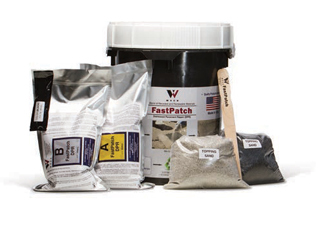 FASTPATCH CR is also available in a 1-Gallon Kit (231 in³) for bulk applications. Contact Us for more product details. PACKAGING: Case of (12) 600mL Dual Cartridges (12-Pack). Store and ship this product in a clean, dry, low-humidity, shaded or covered environment at 60-90 F.